Hi! 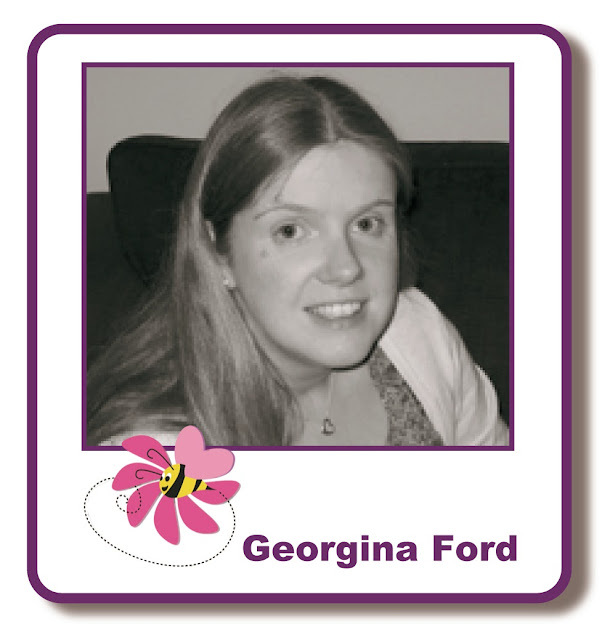 It's Thursday again so it's Georgina with my weekly post. I have a three cards to share with you today. 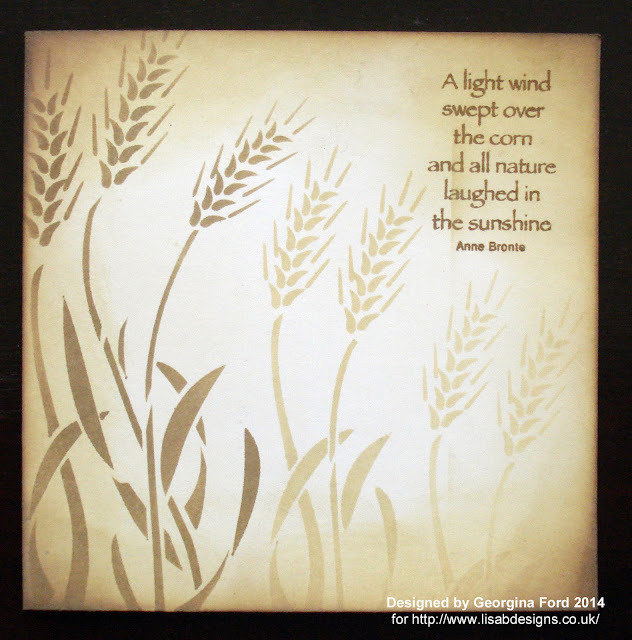 These will offer you some inspiration and ideas for using your stencils. 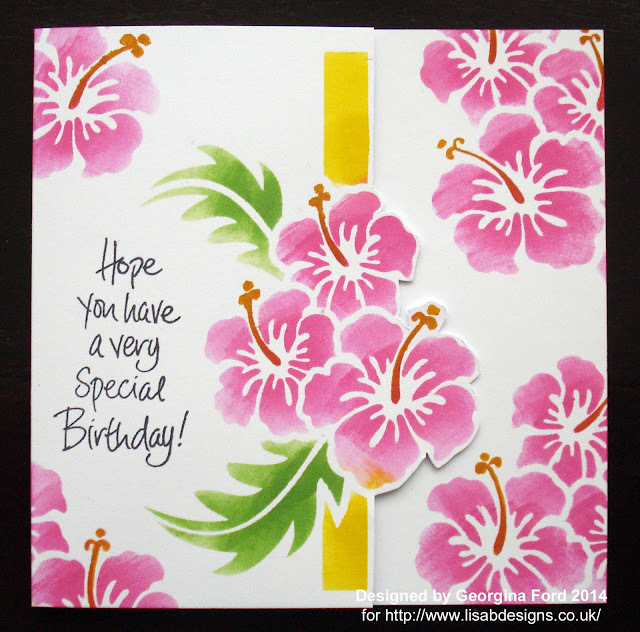 For my first card I used the pretty Hibiscus Ribbon stencil by Glitz Craft which is available from Lisa B Designs. I started by stencilling the centre image and the flower heads in the top and bottom left corners. I used Mustard Seed, Pickled Raspberry, Peeled Paint Distress Ink pads and Cut 'n' Dry foam to add colour through the stencil onto the card blank. The card blank was a 148 x 148mm white card. I then cut along the edge of the centre image as shown in the photo below. To finish the card I stamped the sentiment with Tuxedo Black Memento ink pad onto the front of the card. The sentiment is from Hobby Art's Birthday Collection stamp set. For my second card I cut a square of patterned card. 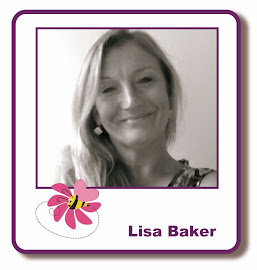 I then die cut out a circle from the centre which I later attached inside the card. I used Diamond Sparkle Medium and Imaginations Craft Vine Trellis Border to add stencilled pattern to the patterned card. Once it was dry I added the stencilled square to the front of the card. I again used a 148 x 148mm white card blank. I added the die cut circle of patterned card inside the card blank. 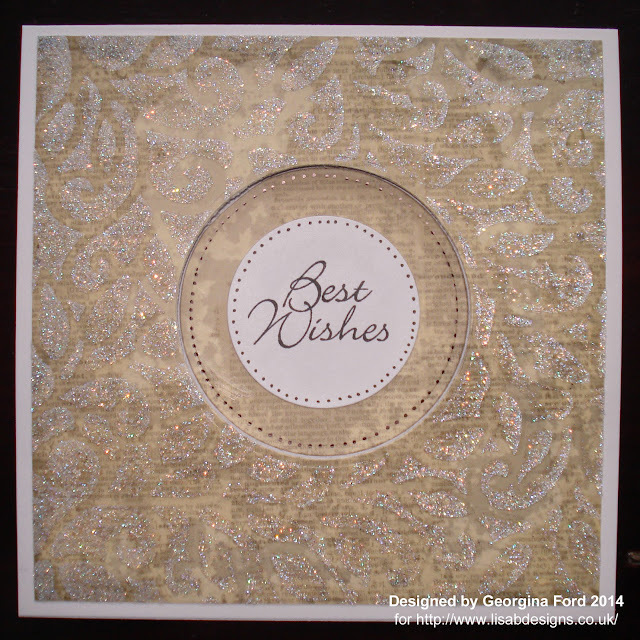 To finish the card I stamped the sentiment onto a circle of white which I attached inside the card as show below. The sentiment was again from Hobby Art's Birthday Collection stamp set. I then added black dots with a fineliner around the circles. 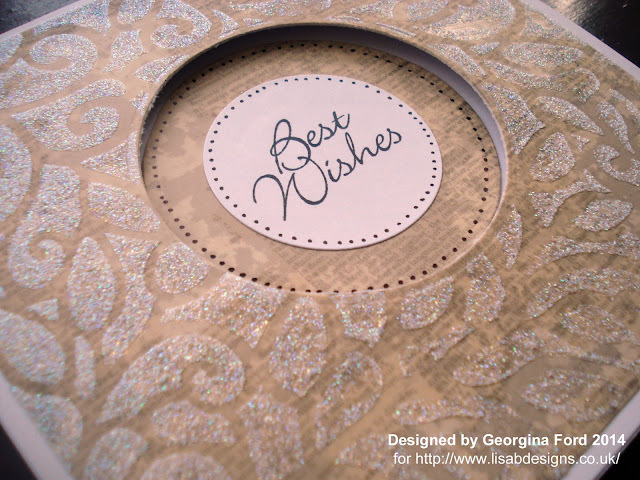 For the final card today I used Glitz Craft Wheatfield stencil again available from Lisa B Designs. I lightly distress the edge of a 119x119mm white card blank with Walnut Stain, Frayed Burlap and Antique Linen Distress Ink pads. 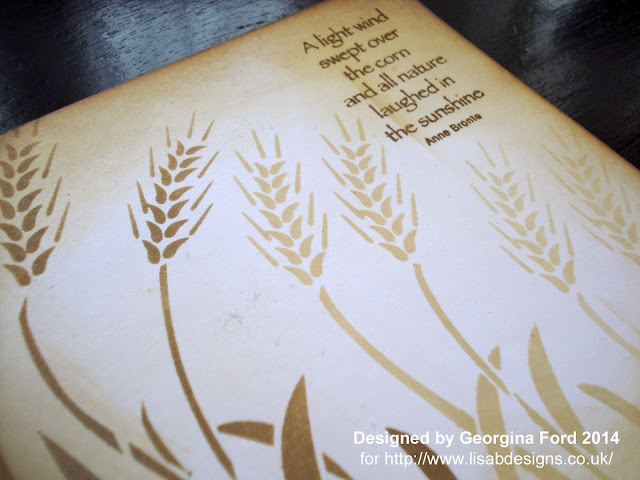 I then stencilled the wheat using the same Distress Ink pads. To finish the card I stamped the sentiment. I used Hobby Art Scene-it sentiments stamp set. 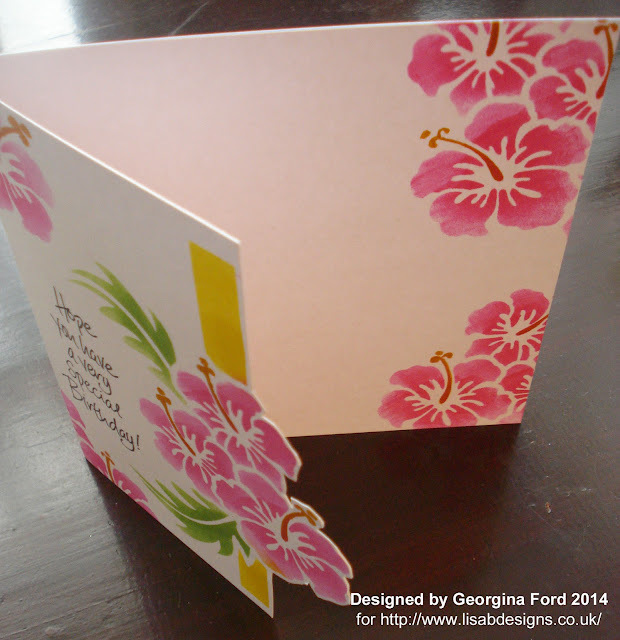 All 3 are beautiful cards but my favourite is the hibiscus one with those fresh tones and fussy cut finish.